I have a very special love for Beef Wellington. The first time I ever tasted Beef Wellington was as an appetizer at my cousin’s beautiful wedding! 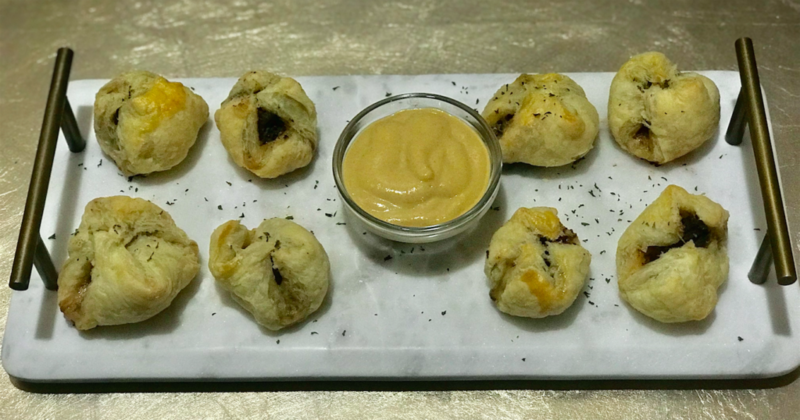 They passed around bite-sized Beef Wellington appetizers and I was instantly hooked! 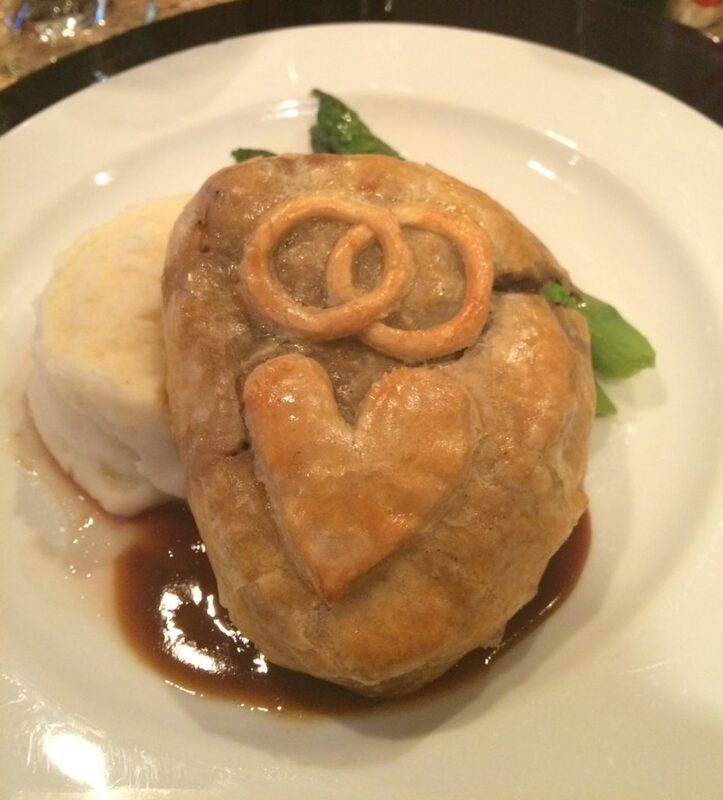 Then, the chef for our wedding made us a special Beef Wellington with wedding rings and heart designs baked into the pastry dough! How cute is that? I have recently been planning out our Super Bowl party menu and I want to serve something a little different than normal. I had several steaks in the freezer and leftover pastry puff dough from the holidays. 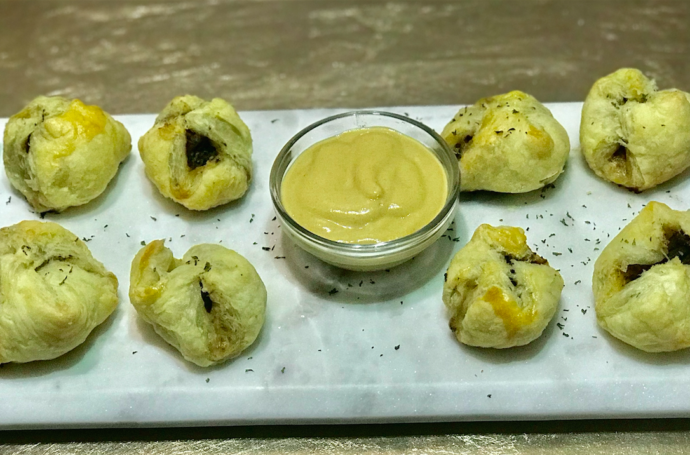 I decided to make a bite-size Beef Wellington appetizer recipe and I am so happy I did! It was absolutely delicious and so easy to make. Here is what you will need! 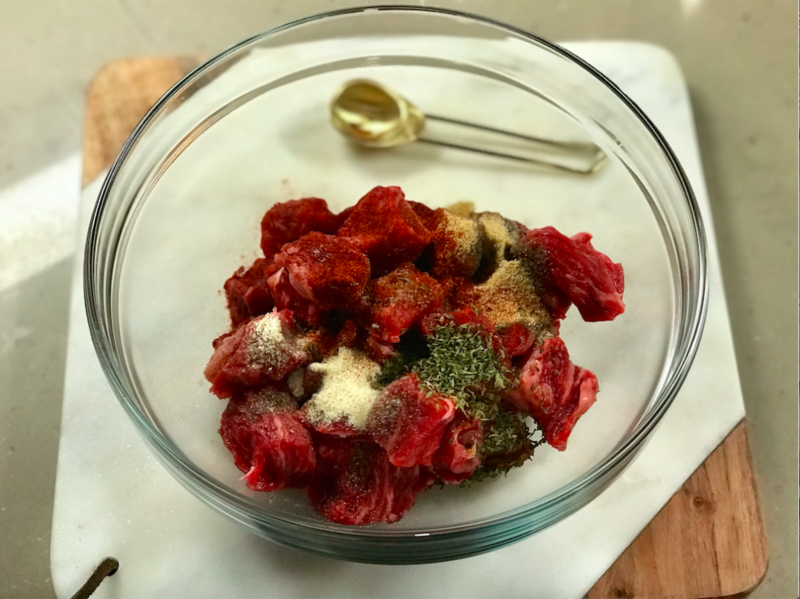 Cut each steak into cubes and season with the garlic powder, parsley, onion powder, salt, pepper, and paprika. 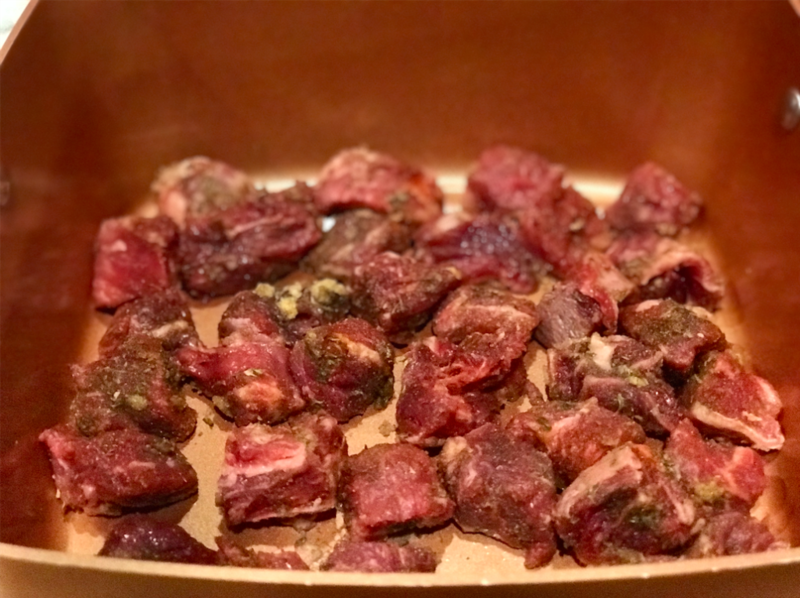 Sear the steak cubes for 1-2 minutes, turning each piece to make sure all sides are seared. Set aside. I used my Copper Chef to sear the steak. The Copper Chef is non-stick and has a sear button that sears each piece of steak beautifully! If you don’t own a Copper Chef, I would highly recommend you look into purchasing one. For the mushroom mixture, add the olive oil to a skillet and heat over medium-high heat. Add the mushrooms and cook until they start to brown. Add the shallots and cook until the shallots are soft and the mixture is golden brown. Remove mixture from the heat and set aside. *Note: I chose not to include the mushroom mixture for the photos I am sharing. The crowd I was cooking for that evening did not care for mushrooms, so I removed them for that particular party. 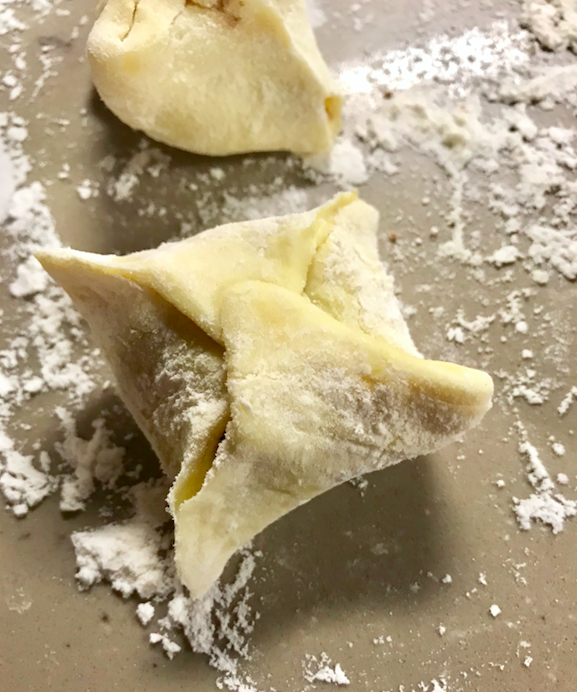 Add flour to a clean surface and lay out your pastry puff sheets. Cover the pastry puff with the Dijon mustard. I would recommend a generous coating of mustard because it really adds so much flavor. Sprinkle with salt and pepper to taste. If including the mushroom mixture, place a small dollop on the pastry dough and add the cubes of meat on top. 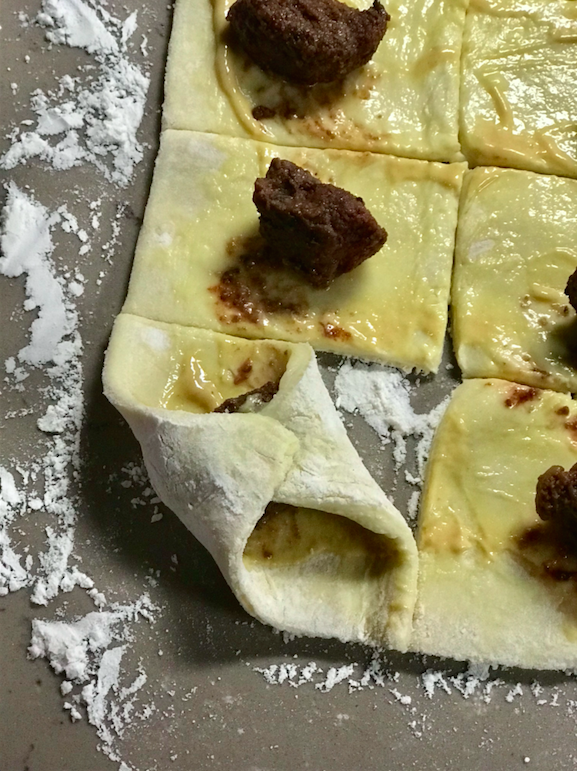 I found that having three pieces of meat across the pastry dough and four pieces down created the perfect pastry to meat ratio. 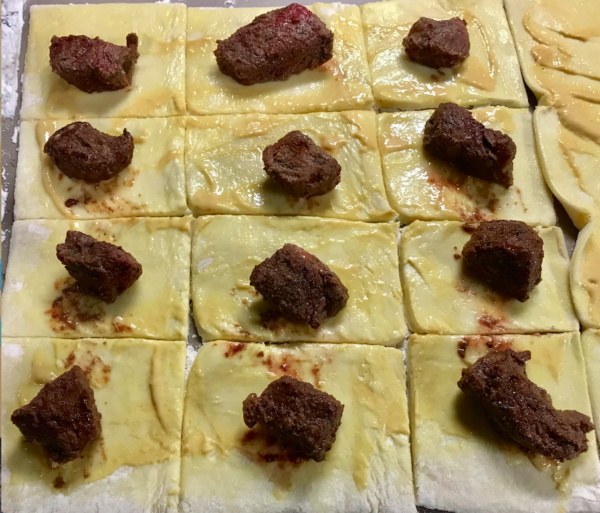 Using a sharp knife, cut the dough into squares around each piece of meat. Pull opposite sides of the dough over the top of the meat diagonally and pinch together. 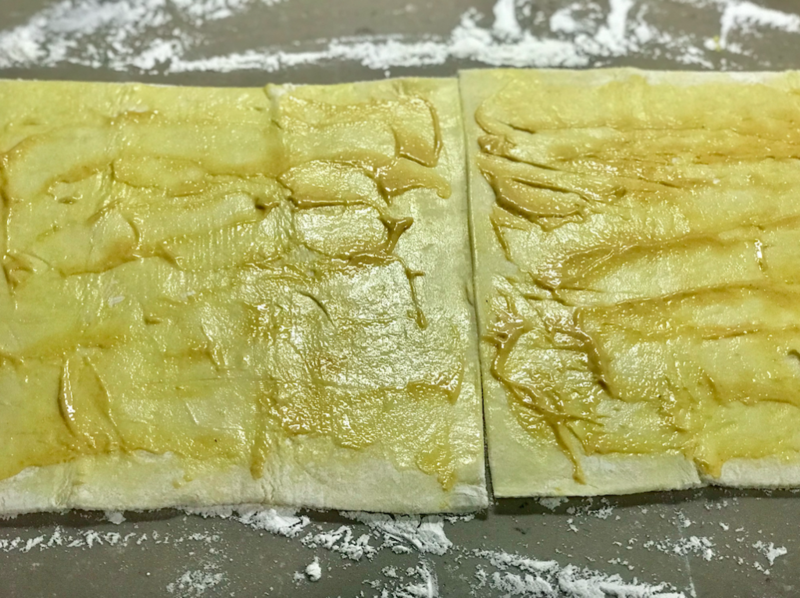 Repeat with the other sides to make sure the pastry is completely sealed. Brush the beaten egg over each bite-size Beef Wellington. Place each piece on the baking sheet and bake for 20-25 minutes or until the pastry dough is golden brown. Place the bite-size Beef Wellington pieces on a serving tray and garnish with parsley. Serve with a bowl of Dijon mustard. 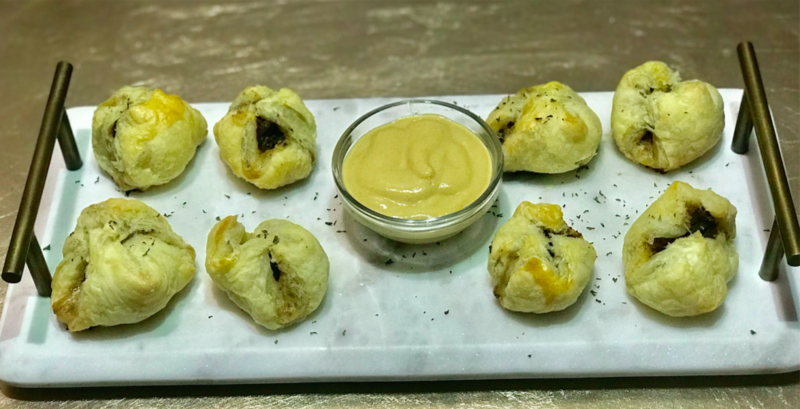 A delicious bite-size beef wellington appetizer recipe that is perfect for any gathering! Sear the steak cubes for 1-2 minutes, turning each piece to make sure all sides are seared. Set aside. 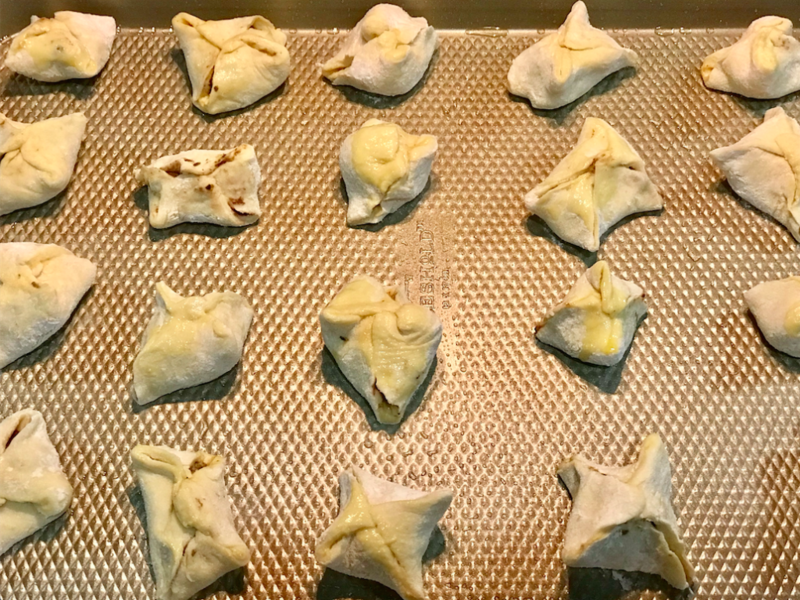 Add flour to a clean surface and lay out your pastry puff sheets. Cover the pastry puff with the Dijon mustard. If including the mushroom mixture, place a small dollop on the pastry dough and add the cubes of meat on top.